I'm an overall balanced athlete who comes from a team sport background (Baseball). I prefer gym based movements and lifting for strength but still work a lot on endurance as well as work capacity style training. Because of my preferred style of training I work well with Spartan and other obstacle racers because of both the strength and endurance required by the sport. However, I am always expanding my knowledge and can work with anyone to get them better at their chosen sport. I'm a senior at the University of Utah, studying for a Kinesiology degree with a Fitness and Wellness expert emphasis. I joined the Marines shortly after high school and served for Five years, with 3 tours overseas. Due to my love for fitness and staying in top physical shape I was tasked by my superiors with getting young Marines up to unit physical standards needed for a deploying unit. These days I take my passion for fitness and teaching into my own business. 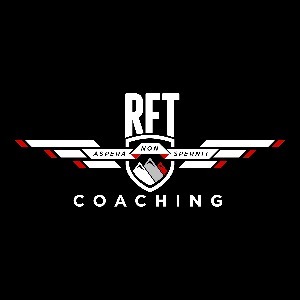 I am currently an NSCA certified personal trainer, Spartan SGX coach and Co-owner at RFT coaching. I like to coach people who want to get outdoors and be active. I also coach and get people ready to run obstacle course races as well as race himself. I enjoy everything the outdoors has to offer and uses the gym as a tool to get him ready for those adventures. “Fear no hardship” are the words that I like to live by. Success. Coach Matt Judy has been notified of your message.